3 for 2 on Egg Cosies! This week it’s your eggs’ turn to have a treat. Eggs are so tasty and good for you that they deserve to be treated well. In fact, we think you should spoil them from time to time and with this offer it’s the perfect chance to do just that. …and give your eggs a garment that’s as great as they are! 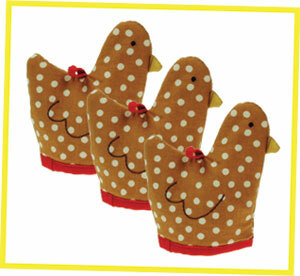 3 for 2 on Chicken Egg Cosies!